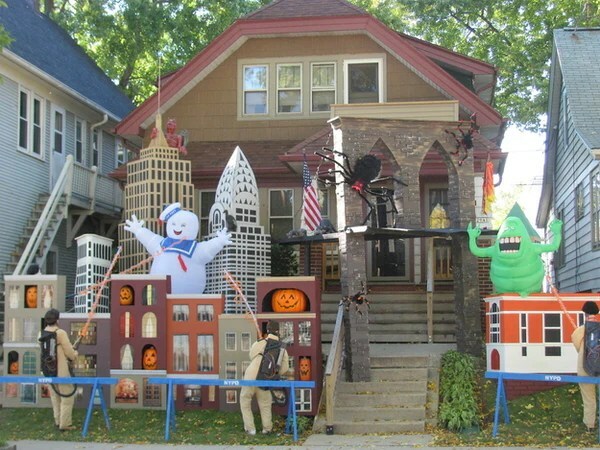 One of our favorite things about Halloween are the outrageous home decorations that seem to pop up out of nowhere. 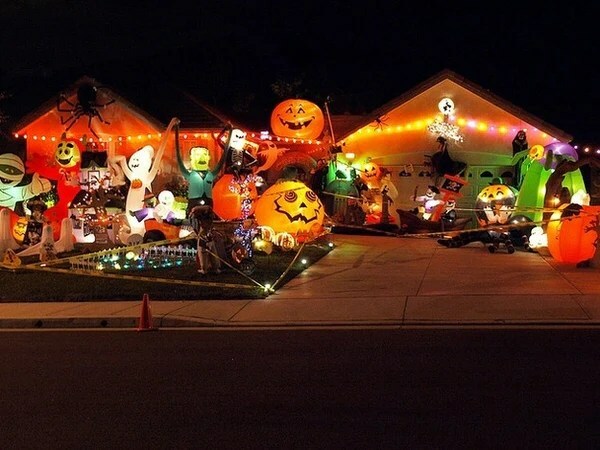 Every neighborhood has one of “those” houses; AKA the ones that seem to be in relentless competition for the most festive house award. 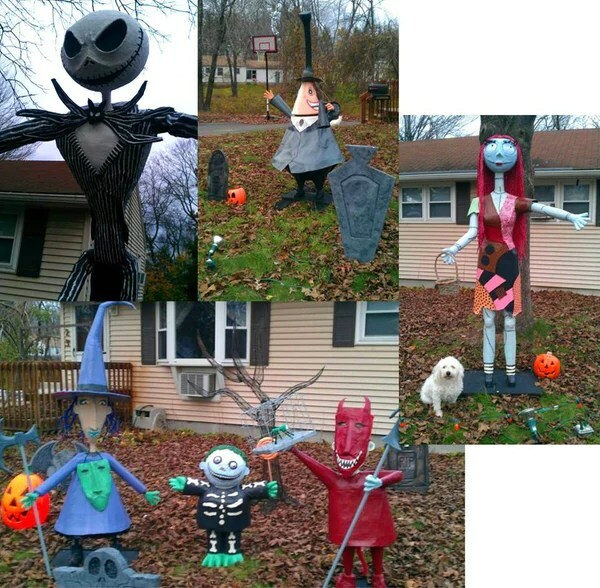 To say the inhabitants of such houses are dedicated is a gross understatement, and we have nothing but respect for their enthusiasm. 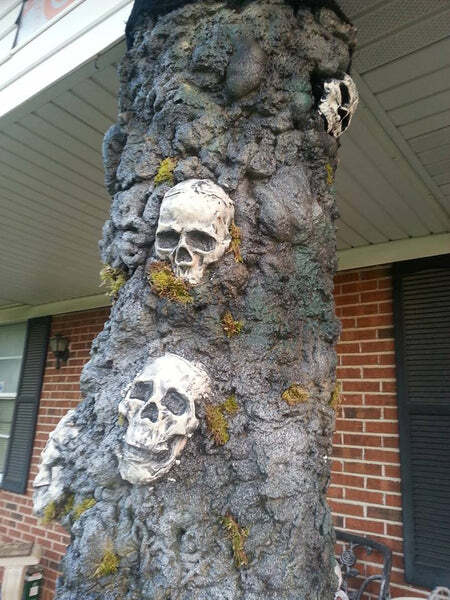 So, we’ve collected 15 of the most over-the-top Halloween decorations we could find. Enjoy! 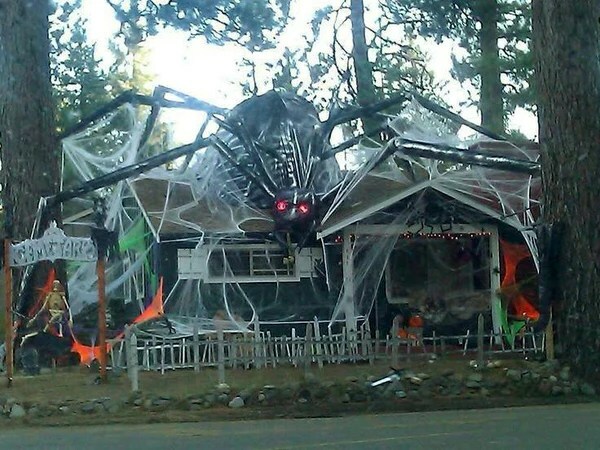 Wow… Looks like the enormous arachnid apocalypse is finally upon us. 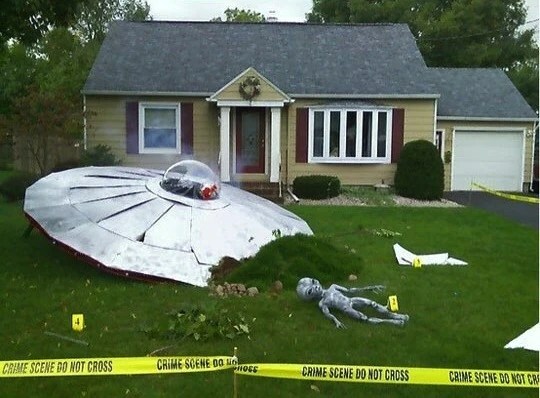 We just hope they have home insurance. 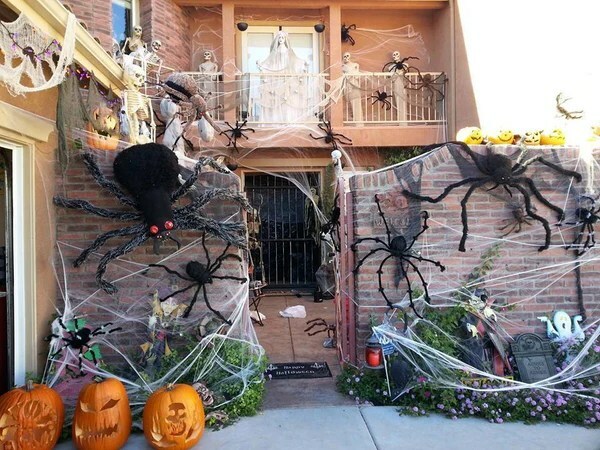 … And as the giant spider apocalypse continues, even the babies lust for human blood. 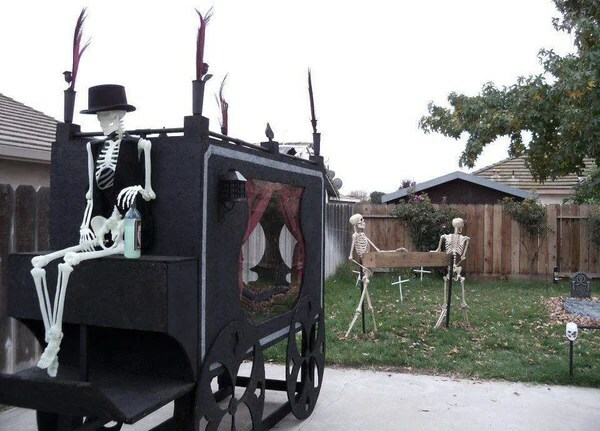 This family deserves nothing less than a personal doorstep visit from Tim Burton himself! 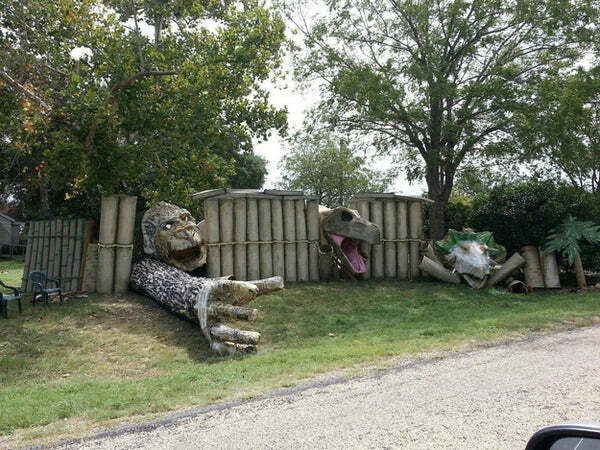 It would be awesome if they had the Jurassic Park theme playing from hidden speakers as people drove by. Totally bad@#$. We thought sleek, modern houses like this one couldn’t get any more sinister. We were wrong. How on Earth was this built?! 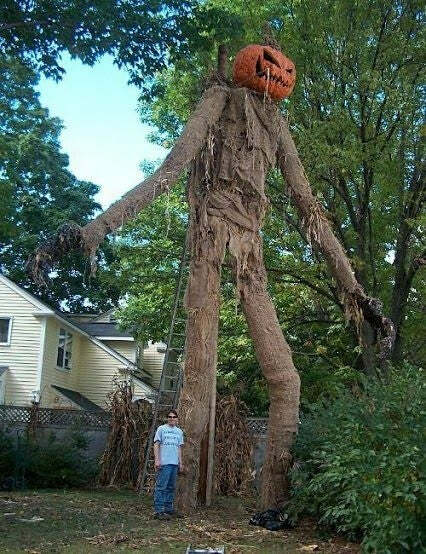 We’re pretty sure the reason that man is smiling is because he somehow avoided almost certain death while erecting that monstrosity. 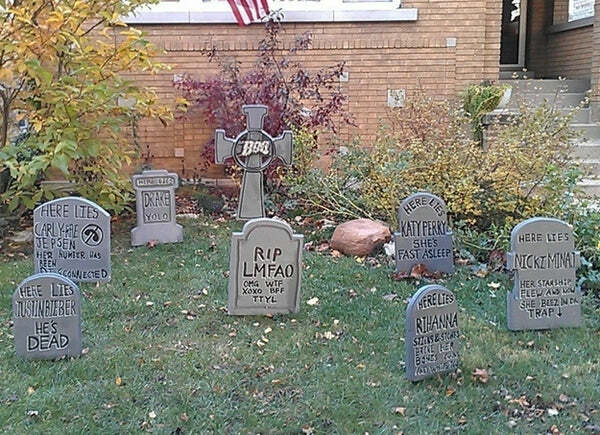 “If there’s somethin’ strange in your neighborhood, who ya gonna call?”… Not these residents, they’ll just make everything more strange. 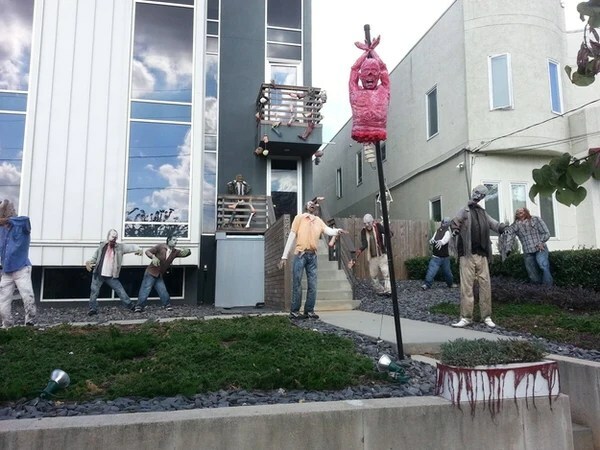 Yeah, we know “less is more,” but this one may be too realistic for certain neighbors. For those of you wanting to duplicate this, don’t be surprised if the po po show up. 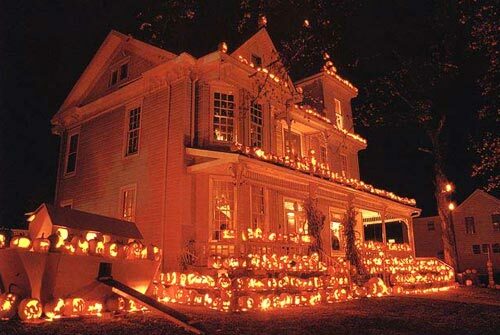 If this isn’t a fire hazard we don’t know what is. 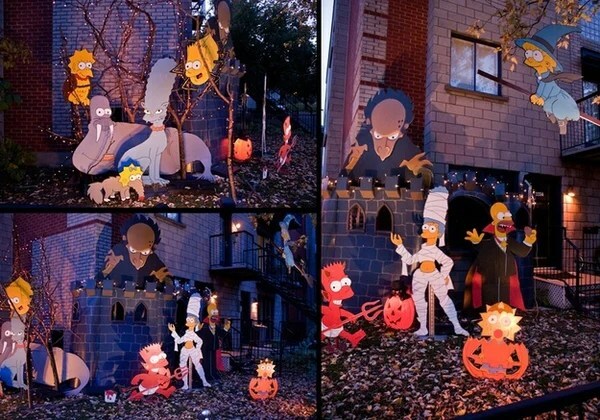 Last but not least, the ultimate Halloween decoration money shot. This is our favorite, by far. 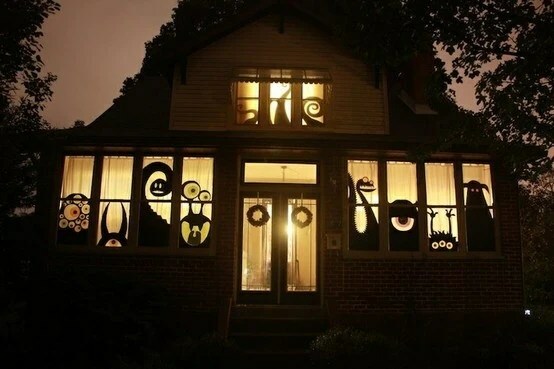 Have some Halloween handy work you’re proud of? Let us know and we may feature you in our next blog post. Thanks for reading!